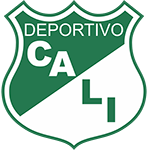 Match ends, América de Cali 0, Deportivo Cali 1. Second Half ends, América de Cali 0, Deportivo Cali 1. Attempt blocked. Déiber Caicedo (Deportivo Cali) right footed shot from outside the box is blocked. Assisted by Andrés Colorado. Juan Camilo Angulo (Deportivo Cali) is shown the yellow card. Foul by Jhoaho Hinestroza (América de Cali). Andrés Balanta (Deportivo Cali) wins a free kick in the defensive half. Foul by Fernando Aristeguieta (América de Cali). Andrés Colorado (Deportivo Cali) wins a free kick in the attacking half. Juan Ignacio Dinenno (Deportivo Cali) is shown the yellow card. Jhonatan Pérez (América de Cali) wins a free kick in the attacking half. Foul by Jhon Edison Mosquera (Deportivo Cali). Attempt missed. Fernando Aristeguieta (América de Cali) left footed shot from the centre of the box is close, but misses to the left. Assisted by Héctor Quiñónes with a cross. Substitution, Deportivo Cali. Jhon Edison Mosquera replaces Agustín Palavecino. John Misael Riascos (América de Cali) wins a free kick on the right wing. Foul by Darwin Andrade (Deportivo Cali). Attempt missed. Juan Ignacio Dinenno (Deportivo Cali) right footed shot from outside the box misses to the left. Assisted by Déiber Caicedo. Delay in match Juan Camilo Angulo (Deportivo Cali) because of an injury. Luis Sánchez (América de Cali) wins a free kick on the left wing. Foul by Déiber Caicedo (Deportivo Cali). John Misael Riascos (América de Cali) wins a free kick in the defensive half. Foul by Agustín Palavecino (Deportivo Cali). Julián Guevara (América de Cali) is shown the yellow card for a bad foul. Foul by Julián Guevara (América de Cali). Darwin Andrade (Deportivo Cali) wins a free kick in the defensive half. Yesus Cabrera (América de Cali) wins a free kick in the attacking half. Foul by Christian Rivera (Deportivo Cali). Offside, América de Cali. Juan Pablo Segovia tries a through ball, but Jhoaho Hinestroza is caught offside. Substitution, Deportivo Cali. Andrés Colorado replaces Carlos Rodríguez. Luis Sánchez (América de Cali) wins a free kick in the defensive half. Camilo Vargas (Deportivo Cali) is shown the yellow card. Attempt missed. Fernando Aristeguieta (América de Cali) header from the centre of the box is close, but misses to the right. Assisted by Héctor Quiñónes. Christian Rivera (Deportivo Cali) wins a free kick in the defensive half. Attempt missed. Fernando Aristeguieta (América de Cali) right footed shot from the centre of the box is too high. Assisted by Jhoaho Hinestroza. Substitution, América de Cali. Luis Sánchez replaces Carlos Sierra. Juan Ignacio Dinenno (Deportivo Cali) wins a free kick on the left wing. Foul by Jhonatan Pérez (América de Cali). Substitution, Deportivo Cali. Déiber Caicedo replaces Feiver Mercado. Substitution, América de Cali. Jhoaho Hinestroza replaces Cristian Álvarez. Corner, Deportivo Cali. Conceded by Julián Guevara. Delay in match Carlos Rodríguez (Deportivo Cali) because of an injury. Corner, Deportivo Cali. Conceded by Marlon Torres. Attempt blocked. Juan Ignacio Dinenno (Deportivo Cali) header from the centre of the box is blocked. Hand ball by Juan Ignacio Dinenno (Deportivo Cali). Delay in match Christian Rivera (Deportivo Cali) because of an injury. Foul by Feiver Mercado (Deportivo Cali). Carlos Sierra (América de Cali) wins a free kick in the attacking half. Corner, Deportivo Cali. Conceded by Carlos Sierra. Foul by Yesus Cabrera (América de Cali). Agustín Palavecino (Deportivo Cali) wins a free kick in the defensive half. Marlon Torres (América de Cali) wins a free kick in the defensive half. Hand ball by Fernando Aristeguieta (América de Cali). Offside, Deportivo Cali. Agustín Palavecino tries a through ball, but Juan Ignacio Dinenno is caught offside. Attempt missed. Carlos Rodríguez (Deportivo Cali) left footed shot from outside the box is close, but misses the top left corner. Assisted by Feiver Mercado. Foul by Carlos Sierra (América de Cali). Jhonatan Pérez (América de Cali) wins a free kick in the defensive half. Attempt missed. Julián Guevara (América de Cali) left footed shot from outside the box is too high. Assisted by Fernando Aristeguieta. Attempt saved. Cristian Álvarez (América de Cali) right footed shot from the centre of the box is saved in the centre of the goal. Assisted by Yesus Cabrera. Second Half begins América de Cali 0, Deportivo Cali 1. First Half ends, América de Cali 0, Deportivo Cali 1. Attempt blocked. Juan Ignacio Dinenno (Deportivo Cali) header from the centre of the box is blocked. Assisted by Juan Camilo Angulo with a cross. Juan Pablo Segovia (América de Cali) is shown the yellow card for a bad foul. Foul by Juan Pablo Segovia (América de Cali). Feiver Mercado (Deportivo Cali) wins a free kick on the right wing. Goal! América de Cali 0, Deportivo Cali 1. Juan Ignacio Dinenno (Deportivo Cali) header from the right side of the six yard box to the bottom left corner. Assisted by Darwin Andrade with a cross. Hand ball by John Misael Riascos (América de Cali). Attempt missed. Feiver Mercado (Deportivo Cali) left footed shot from outside the box misses to the right. Assisted by Christian Rivera. Delay in match Yesus Cabrera (América de Cali) because of an injury. Attempt missed. Julián Guevara (América de Cali) header from the centre of the box misses to the left. Assisted by Yesus Cabrera with a cross following a set piece situation. Yesus Cabrera (América de Cali) wins a free kick on the right wing. Attempt missed. Juan Camilo Angulo (Deportivo Cali) right footed shot from outside the box is high and wide to the right. Assisted by Agustín Palavecino following a corner. Juan Camilo Angulo (Deportivo Cali) wins a free kick in the defensive half. Foul by Héctor Quiñónes (América de Cali). Yesus Cabrera (América de Cali) wins a free kick in the defensive half. Attempt saved. Cristian Álvarez (América de Cali) right footed shot from outside the box is saved in the bottom right corner. Offside, Deportivo Cali. Juan Camilo Angulo tries a through ball, but Agustín Palavecino is caught offside. Attempt missed. Juan Camilo Angulo (Deportivo Cali) right footed shot from outside the box is close, but misses to the right from a direct free kick. Feiver Mercado (Deportivo Cali) wins a free kick in the attacking half. Attempt blocked. Fernando Aristeguieta (América de Cali) right footed shot from outside the box is blocked. Assisted by Héctor Quiñónes. 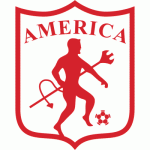 Corner, América de Cali. Conceded by Darwin Andrade. Attempt missed. Carlos Rodríguez (Deportivo Cali) left footed shot from more than 35 yards misses to the right. Assisted by Agustín Palavecino. Offside, América de Cali. Julián Guevara tries a through ball, but John Misael Riascos is caught offside. Offside, Deportivo Cali. Darwin Andrade tries a through ball, but Feiver Mercado is caught offside. Carlos Rodríguez (Deportivo Cali) wins a free kick in the defensive half. Attempt missed. Darwin Andrade (Deportivo Cali) left footed shot from outside the box misses to the right following a corner. Attempt blocked. Juan Camilo Angulo (Deportivo Cali) right footed shot from the right side of the box is blocked. Assisted by Agustín Palavecino. Carlos Rodríguez (Deportivo Cali) wins a free kick on the right wing. Attempt missed. Jhonatan Pérez (América de Cali) right footed shot from outside the box is close, but misses to the right. Assisted by Cristian Álvarez. 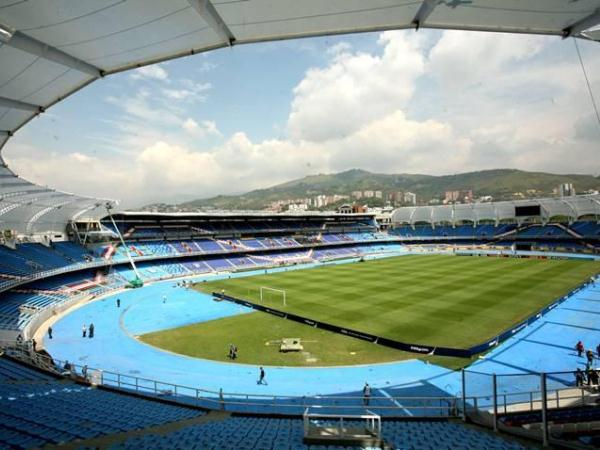 Corner, América de Cali. Conceded by Camilo Vargas. Attempt saved. Fernando Aristeguieta (América de Cali) right footed shot from the centre of the box is saved in the top right corner. Assisted by Cristian Álvarez with a cross. Corner, América de Cali. Conceded by Francisco Delorenzi. Andrés Balanta (Deportivo Cali) is shown the yellow card for a bad foul. Foul by Andrés Balanta (Deportivo Cali). Delay in match Fernando Aristeguieta (América de Cali) because of an injury. Héctor Quiñónes (América de Cali) wins a free kick on the left wing. Juan Ignacio Dinenno (Deportivo Cali) wins a free kick in the attacking half. Juan Camilo Angulo (Deportivo Cali) wins a free kick on the right wing.